An exceptional cut in rainfall has adversely affected honey production in the Golden State. The drought, now in its third year, has ravaged flowering plants thereby reducing the number of spots available for bees to collect nectar. 10 years ago, California was the country’s leading honey producer. It has since been surpassed by North Dakota, Montana, South Dakota and Florida. In 2010, the state produced 27.5 million pounds, which fell sharply to 10.9 million pounds in 2013. This year’s yield is unknown, but the result is looking even worse. California currently provides less than 10 percent of American honey. The honey deficit has pushed prices to unprecedented highs. According to the National Honey Board, retail price for the sticky sweet natural product has increased by 65 percent over the past 8 years. The FDA issued honey guidelines earlier this year, barring manufacturers from adding other substances (like corn syrup) that would save them money. 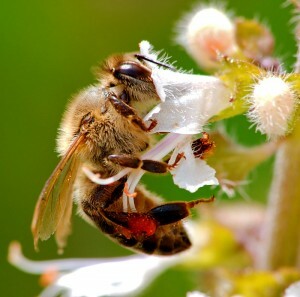 The hike is also due to decreases in national honey bee populations. In particular, widespread colony collapse has been highly damaging and remains a mystery in the scientific community.